Jane Velez-Mitchell is a nationally known and syndicated newscaster, twice a New York Time Bestselling Author, and four time Genesis Award winner from the Humane Society of the United States. Jane is the Founder and Editor of JaneUnChained.com, a digital news network focusing on animal rights and the vegan and compassionate lifestyle with over a million social media followers producing multiple live video news feed reports from across the country numerous times a day. 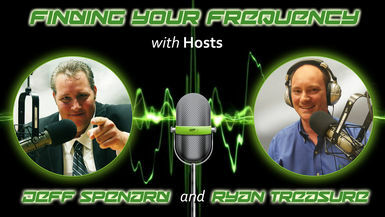 Tune in as Jeff and Jane have a special announcement you won't want to miss heard first on Finding Your Frequency.